(P1) Do you know what the currency of China is? The official currency of China is the renminbi. It is also known as the yuan. 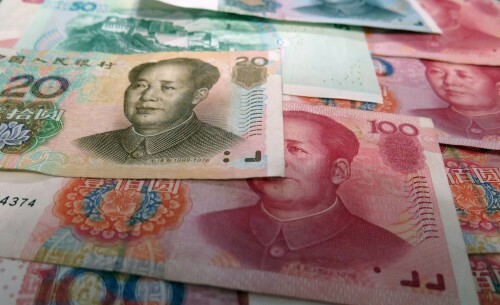 Renminbi is the official term for the money. The yuan is a more casual term. Renminbi means ‘people’s currency’. There are 1, 5, 10, 20, 50 and 100 renminbi banknotes. (P2) They are all different sizes and colors. On the front, they all have a picture of Chairman Mao Zedong. On the back of all the notes is a picture of a famous site in China. On the back of the 100 yuan note, for example, is a picture of the Great Hall of the People in Tiananmen Square in Beijing, and on the back of the 5 yuan note, there is a picture of Tai Shan Mountain. The currency code for the yuan is CNY and the symbol used is ¥. What is the name of your country’s currency? How many banknotes does your country have? Describe what is on your country’s banknotes. What’s the casual name given to the Chinese currency? How many different banknotes are there? What picture is on the back side of the 100 renminbi?